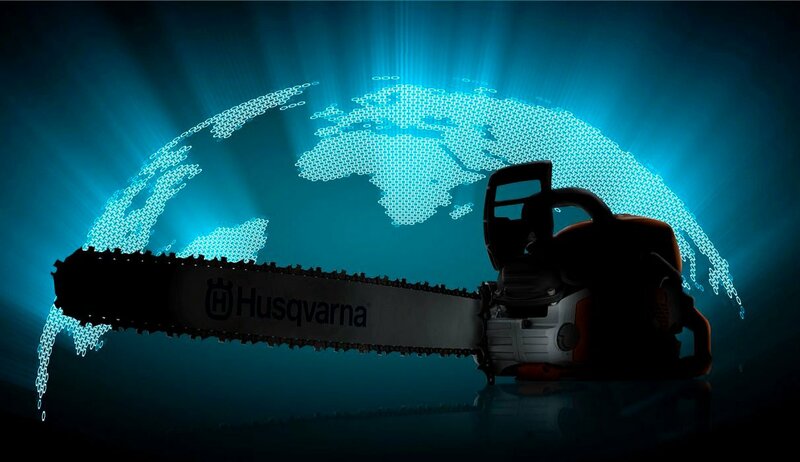 When Husqvarna or Stihl is about to release a new chainsaw there are always alot of rumors abound. When Husqvarna now announce the launch of a new chainsaw in august 2017 there is no exception. The launch will be august 17 2017 and Forestry.com will be there, reporting about the newcomer. What do we know about the new saw? Everything is relative, but the new chainsaw will replace one of the bigger pro chainsaws. Rumors has said that it will be in the 90cc segment, but more likely (read below) would be in the mid-segment (70cc). It will be a petrol chainsaw, that is dead sure. Anno 2017 seems not ready for e.g battery powered chainsaws in this size, we’ll see if and when in the future. Husqvarna has revealed some small hints about the new saw. It will be bigger than, for example, the 550 XP and it will be built for endurance. With that in mind it seems like they focus on the professional users cutting rather big trees on a daily basis. The new saw seems to have the large bar mount as well. 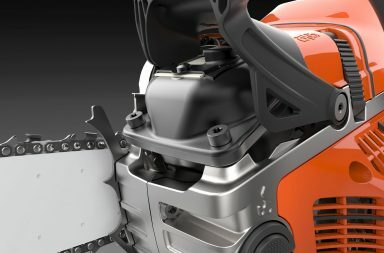 Most likely, the new chainsaw will have a model number starting with 5xx, and if so, there is also a probability that an older Husqy starting with 3xx will be replaced by this new one. The question for the proficient is if it will replace HVA 372 XP or the HVA 395 XP? It is these two saws (besides 3120) that still has the “old” 3xx model number. If you then browse over to Husqvarnas pre-launch website you’ll here some customers talk about the new saw. The company also posted the image above (property of Husqvarna Group) with an image description including “572 XP”. This could be a smokescreen for sure, but worth noting. If 572 XP, then what? Here is our guesses. The new saw will be slicker, more ergonomic and maybe lighter then its predecessor. 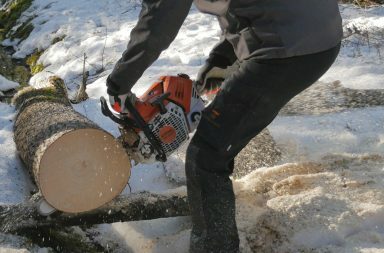 The new chainsaw seems to have been tested for a long time (rumors seems to have started in 2014), and on Elmia Wood 2017 Husqvarna showed an comparison between two ball bearings for the crank shaft, where the bearing for the new saw was more robust. Husqvarna will focus on endurance. X-torq®, AutoTune and E-TECH II will most likely be implemented. 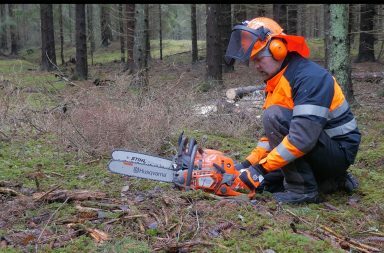 They are all different technologies implemented on the newer chainsaws of Husqvarna. X-torq is an technic with an extra air channel in the cylinder along with a special piston to get an optimized air flow reducing emissions and fuel consumption but also increases torq. AutoTune is “an computerized carburetor” that adapts the fuel mix to current conditions. E-TECH II is an technology that together with X-Torq reduces emissions. As mentioned Forestry.com will keep you updated during the summer. If you have any rumors or facts, feel free to comment or post a topic in the forum. 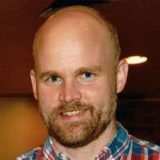 On Skogsforum we have several topics running on the rumors, feel free to read and engage there as well.